The East is doing more business with the West than ever before – with joint ventures now accounting for more than a third of China’s direct foreign investment. Increasing collaboration between businesses from opposite corners of the globe is always to be celebrated, of course. But managing teams comprised of people from very different cultural backgrounds isn’t always easy. Unresolved misunderstandings can lead to missed deadlines and sometimes jobs that simply do not get delivered. It is widely acknowledged that there are fundamental cultural differences underpinning between the way in which the West and East approach conflict management. In the East, personal relationships are seen as essential to achieving business goals and dealing with conflict, wherever it arises. In the West, mixing the professional and the personal is seen as an impediment to entrepreneurial success, if anything, and should definitely not become an element of conflict resolution. We just want to get the job done. These two very different approaches have been labelled as ‘indirect’ and ‘direct conflict management’. And to become a truly culturally ambidextrous business person, it helps to understand how they both work. Western business people are more likely to place less importance on getting along well with those that they work with. They don’t feel that it’s necessary to like a counterpart or colleague in order to work with them. East Asians prize interpersonal harmony, respect and empathy highly and deliver their best to the individuals and teams that they find pleasant to do business with. When things go wrong, they’re happy to discuss it. Third-party intervention should not be a last minute resort either; because saving face is key to successful conflict resolution in the East, they can be called on as soon as possible. In conclusion, if your company or team are working with a team from the other side of the world, keenly observing the small things will help you to get the big things in place. Look out for signals that things aren’t going as planned, or that someone vital to the success of the project isn’t happy. Ask a third party to mediate – as soon as you can. The concept of transcreation (creative translation) has been around for some time, but recently translations agencies have started to sit up and take more notice of it. Why? Because marketing techniques are becoming ever more intuitive and audience-specific, and digital marketing requirements are driving the need for a slant in approach towards content. 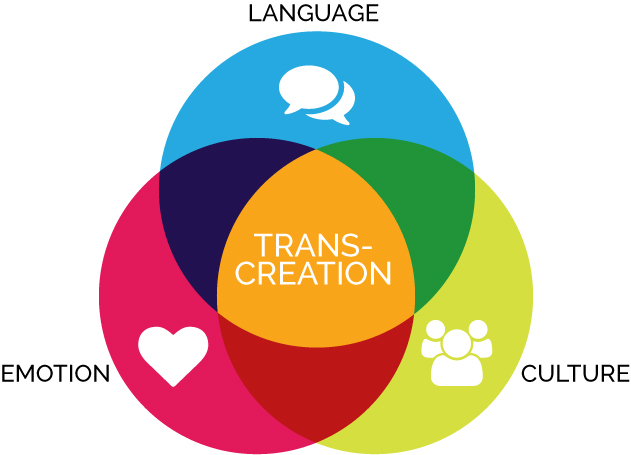 Hence the uptake of transcreation, creative translation services that help brands to appeal uniquely to their target customer segments in different languages and across different cultures. The key to successful transcreation is to move the customer emotionally – so that they identify with the brand. It then follows that there is much more to the task itself – the transcreation provider, who will probably have a background in digital marketing, an understanding of what drives consumer decision-making processes, and top quality language skills, will spend time getting to know the brand, carrying out research and liaising with the client as they hone the product. This is why transcreation is charged by the hour, rather than the word, like copywriting and proofreading. However, the advantages to the client are manifold: you get an intuitively targeted, added-value product that delivers better ROI than an every-day translation service. Many translators bring other skills to their work; transcreation experts tend to be thoroughly grounded in marketing and may have some experience in copywriting or creating content from scratch. A thorough understanding of marketing (and increasingly digital and social media marketing) is essential in transcreation because the translator will appreciate the importance of creating copy that works in today’s high-tech marketing environment. Another factor that sets transcreation apart from straight translation is the need to get to know your business. A good transcreation provider should be able to get under the skin of your company and its products and services, become part of your team and understand the importance of writing not as themselves, but as you. This means not only getting to know your business and what you are offering your customers thoroughly, but also what is likely to drive your customers to buy from you! 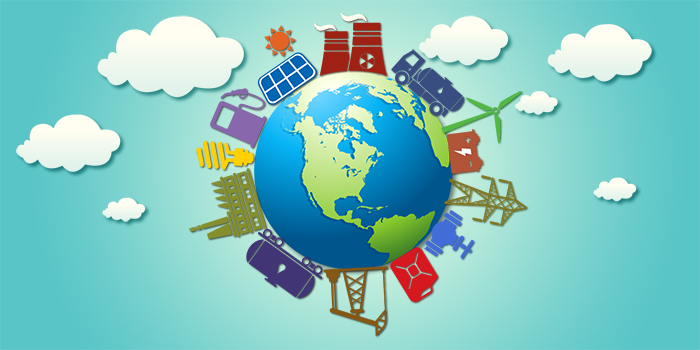 To summarise, your chosen transcreation provider is something of an investment, on both sides. They invest their time in getting to know your business, your offerings, your brand, your tone of voice and style, and the right person will effectively become part of your team. 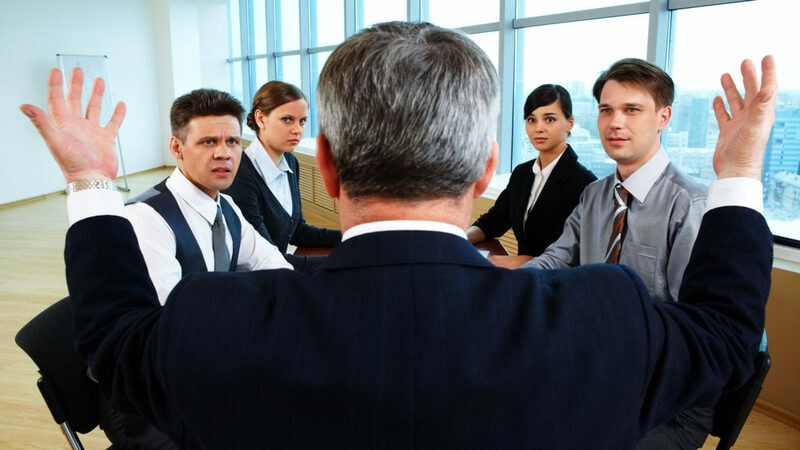 They are rewarded not only by financial remuneration, but also by the quality of their interaction with your company, the trust established between you and training and feedback provided by your staff. You in turn invest in them financially, but also by providing training and education, sharing your business goals and requirements, giving feedback and working alongside your provider to grow your valuable relationship together! We live in a world where technology is bringing millions of people from different countries, backgrounds and cultures ever closer together – to teach, to learn, to socialise and to do business, all through the World Wide Web. Communication technology has advanced in leaps and bounds in the last decade – everything from smartphones to new social media channels giving us more speed, more choice, and more convenient ways of talking to each other. And we’re talking to more people in more places and using more diverse languages than ever before. Which means that we’re using professional translation services more than ever. Little wonder then that translators are enjoying a booming career. In Careerbuilder’s latest report on hot industries for job growth between 2014 and 2019, the number of jobs in the translation and interpreting services industry is predicted to grow by 36%, making it the fastest growing jobs market in America. If you speak another language, you might want to consider becoming a translator or interpreter. Many companies in the US and the UK are looking to expand into new markets abroad, which is fuelling the increase in translation and interpreting jobs. Translators enjoy a comfortable income, depending on experience, and are often able to work from home, fitting their career around children or other commitments. Projects are varied, often exciting, and bring a sense of fulfilment. And you can work towards accreditation from an association such as the Institute of Translators and Interpreters to give you the necessary skills to turn your second language into a job – and to demonstrate your expertise to your clientele. It is generally acknowledged that those who choose a career in translation after having worked in other roles can offer even more value to the industry. Their previous experience is invaluable. A trained marketer who is also a translator intuitively understands about conveying brand values, for example, and someone with an automotive background will be conversant with the relevant technological terminology. The translation services industry is mainly served by agencies with the capability to produce high-volume, high-quality output in a consistent and timely manner. Access to company CAT tools, into which client glossaries and translation memories can be built, helps individual translators to maintain a particular style, vocabulary and tone of voice. Whether you’re a B2B or a B2C translation services buyer, this gives you the security that your brand will be represented accurately to your target audience. Most translators are freelancers, working from home. The salary is wide-ranging, depending on both language and experience. Competition is highest amongst more widely spoken languages, such as French and Spanish, and remuneration will be lower than what a native English speaker of Japanese is likely to be able to achieve. Having said this, a full time translator can expect to earn in excess of $40,000 per annum and six-figure sums are readily achievable in the industry! On the 26th July1887, under the pseudonym Doktoro Esperanto (one who hopes), the Polish-Jewish ophthalmologist Ludwik Zamenhof published Unua Libra, a book about a new auxiliary language – Esperanto, which he hoped would become a widely-adopted means of international communication. To render the study of the language so easy as to make its acquisition mere play to the learner. Zamenhof’s aspirations for Esperanto were ambitious, but it is probably the most successful constructed language in the world. It is spoken by around 2 million people worldwide. Although it is a constructed or artificial language, some of these are native speakers, having learned it from birth. There are also a large number of organisations that support people interested in, involved with and learning Esperanto. The Universal Esperanto Association (http://www.uea.org) is probably the largest, with members in 120 countries. It has even been adopted by Google Translate. Facebook, always a good place to research trends, report 350,000 users declaring Esperanto as a spoken language. 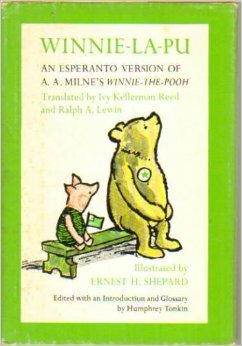 And, despite the continuing popularity of English as a universal language, Esperanto is actively used, sought and studied to this day. The take-up of a recent Duolingo course (https://www.duolingo.com/course/eo/en/Learn-Esperanto-Online) highlights this – by November last year, over 600,000 users had signed up to study. Esperanto is clearly one to watch! Director: Good morning everyone. My name is Roger Haffnor; I am acting director for ACME. This, as you know, is our last meeting of the year. It is an all-department meeting as we wanted each department to share positive and negative experiences so that we can all learn from them. It is also the perfect time to update our supplier lists. It must be said that we set the bar a bit high this year, but are agreeably surprised with individual department results, which together add up to very positive results for ACME. In a nutshell, we are growing, blooming and becoming more successful thanks to you and your great work. We have entered markets we never dreamed of five years ago. All I can say is thank you! So, I am going to call on you department by department and ask you to quickly mention positive experiences and particularly helpful suppliers, as well as those suppliers with whom you have had negative experiences. It is through sharing this type of information that our company can grow solidly and consistently. Ok, let’s get started here…. who wants to go first? Humphrey: Yes, hi, I am Humphrey Briggs from Sales. It has been a year of ups and downs for us. Mostly we have tried to streamline product specs and make them appeal to target audiences. We reached out to market experts and one particular supplier that helped us immensely was a translation agency called From-To. They were the ones to encourage subtle changes in our product documentation so that it would have greater appeal to the target audience, and in particular, in this case, South America. We are already seeing the results here, so I highly recommend this supplier. Director: Thanks, Humphrey. Now who would like to go? OK, go ahead, Dorothy. Dorothy: Hi, thanks Mr. Haffnor; my name is Dorothy Jones and I am from the legal department. We too have had much luck with the same translation company as Sales; From-To. They were really a great partner for this and more than just translating, were also able to advise us in legal-related business matters for the Arab countries, in particular. They work with a team of native experts, which really came in handy. Since they offer such a great mix of skills, I cannot recommend them enough. Director: Thank you, Dorothy for this invaluable information. Who would like to go next? OK, please state your name, yes, you. Cindy: OK, hello everyone one, my name is Cindy Angler and I work in publications. Since we are in the process or redefining and simplifying company-wide product documentation and packaging, we also have been working with copywriters and translators to give more user-friendliness and attractiveness and cut out superfluous jargon for the Asian markets. What is now being produced is highly aesthetic and pleasing as much as it is useful and succinct. We worked with a couple of freelance translators whom we had already used in the past, but we too relied on the skills and expertise of the agency From-To as they were able to pick up bigger loads and were able to offer a greater reach than our typical stable of freelance translators. I can’t recommend this agency enough. Thank you for sharing all. It sounds like From-To is definitely worth adding to your supplier lists. Now, we shall reconvene after a quick lunch break. See you back here at 2 o’clock. 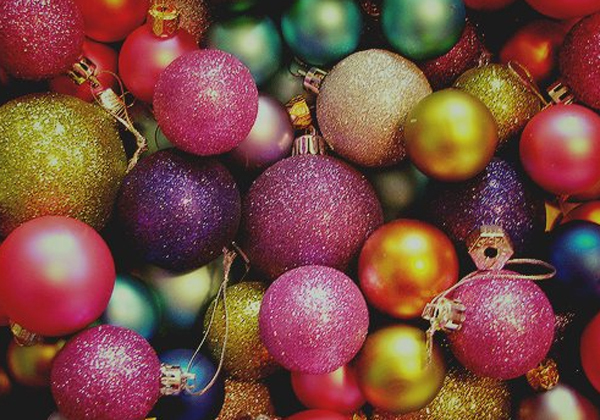 Dreaming of a White Christmas – the gift of colour. As the end of 2016 approaches, we are all busy making sure that the work on our desks is cleared and the projects of 2016 are wrapped up before the festive season is upon us. Parties have been planned, Christmas cards written (or sent digitally, it is 2016 after all) and we try to keep out the long, dark evenings with good food, good cheer and happy gatherings for colleagues, family and friends. We can’t predict a white Christmas (well, not everywhere), but if we were translating colour, not words, certainly the white of snow-strewn landscapes, the red and green holly berries and the silver and gold of tinsel would spell out Christmas without a word spoken. So, while we are confident of being able to translate most languages in 2017, we have decided instead to take a light-hearted look into the colour palette for 2017 for you: be prepared for a fashionable return to the office with the top colour trends for 2017: pinks, blues and leafy greens – which translate into spring and the great outdoors. It may not be the best news for suits, but you could always add a little colour to the office with a garden party tie or a pale blue dress. Wishing all our From-To customers past, present and future a very Merry Christmas and all the best for the new, exciting year ahead. The heat is on. The rise of the overseas market. In July this year the Telegraph printed an exciting report on the rise of UK exports as businesses delve into non-EU markets. It sourced its information from the ONS and described the successes as ‘world beating’. The British like to think of ourselves as taking an important role in the wider world economy and as a nation we have invented and delivered many exciting new ideas globally. It is a bit of a tradition for the British, a ‘maritime nation’, to continue to explore overseas. Of course we are still busy within the EU – and although the press like to warn us about the uncertainty of our trading future, as politics and economics bring fresh news stories and debates, one thing is certain: there are big, fresh opportunities out there and the businesses that are quick and keen enough to take advantage of them are the ones that are going to go places. If you are reading this, you are probably one of them already. Translations agencies and linguists are feeling the benefit of this rise in overseas trade too: your success is our success. We know that you will be seeking to get your message across in a clear and concise way, whether this is on a website, in a brochure or a detailed contract. It seems that the bigger a business grows, the more it needs to localise its content, and world-dominating companies such as as Microsoft are translating into very diverse languages to market their wares. You may not be aiming to talk in Maya just yet, but if you have got your sights set on the growing markets in the Middle and Far East, for example, or you want to engage in trade in South America, you may want to talk to us first. After all, we share common interests and goals. 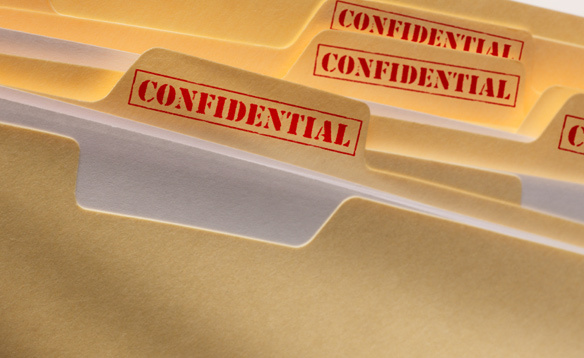 It’s YOUR business: the Importance of confidentiality. 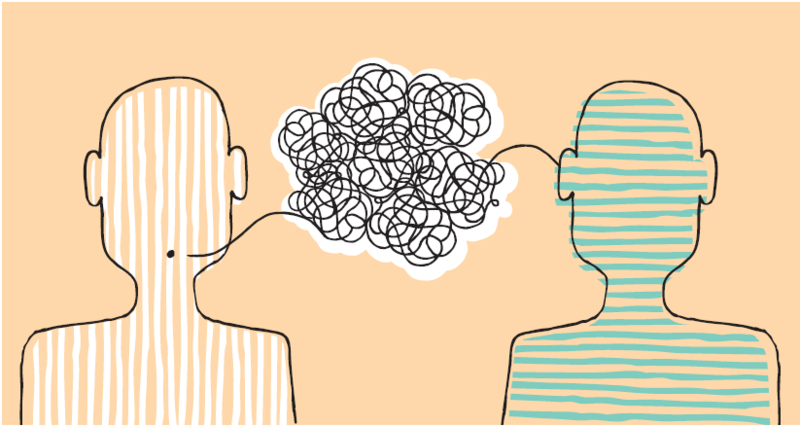 From the moment that you decide to write that email or pick up the phone and make your first enquiry into commissioning work from an external provider, you are probably wondering at the back of your mind just how much information you need to give. Initially, you may only want a costing or to see if the translations agency can offer the service peculiar to your project. But do you really want to let slip over the telephone to somebody that you have never met that you are about to start working closely with a multi-national company on the most lucrative contract of your career? Confidentiality in business is the hottest topic up for debate, whether it is about your customers’ data or a new contract that you have worked so hard to get. Unfortunately, there is always the possibility that if your data is mishandled, one of your stakeholders (which includes the translations agencies that you choose to work with) can actually put your project at risk and compromise your business. Little wonder then that innovations are shrouded in secrecy, that the latest model of mobile phone or newly trialled drug is a closely guarded secret; news ‘leaks’ about the intentions of businesses can be devastating. The same applies for the day-to-day business of smaller companies whose goods and services are just as important to their survival. We are all familiar with such privacy acts as the Data Protection Act, or possibly working to the standards of the EU’s GDPR, but how would this cover you in the event of an accidental slip of information that gives your competitor the advantage? The answer is that there has to be more than a handful of statutes and laws. Working closely with any agency means that professional relationships will also develop – and that does open the possibility, however small, of your business being casually discussed with a potential competitor. This is where confidentiality plays a vital role: a truly professional agency will want to give every customer, potential or long-term, big or small, the guarantee that no matter what stage the professional relationship is at, your business will always be treated with the complete confidentiality that it requires, every time, all the time. Your new product will not be leaked. Your medical trial will be undisclosed. Your business will remain your business. From our point of view as an agency, it is our business to see that it does. Arthur, manager from ED-med, a UK medical equipment company has called a meeting of his team members to discuss the recent flop they experienced trying to move on to the German market. Arthur: OK everyone, we are meeting today to address a flop we’ve had. As you know, we have always prided ourselves on our excellence and our brand name has become synonymous with trust, seriousness, reliability and exemplary customer service. Now, as you know too, our main objective this year was entering the export market. After analysis, Germany seemed most likely to be immediately receptive to our flagship product. But we failed to keep our usual seriousness throughout the entire production line. Since we are new to export, we cut a few corners in translation and now we are really paying for it. Whatever we do now is going to cost big time. 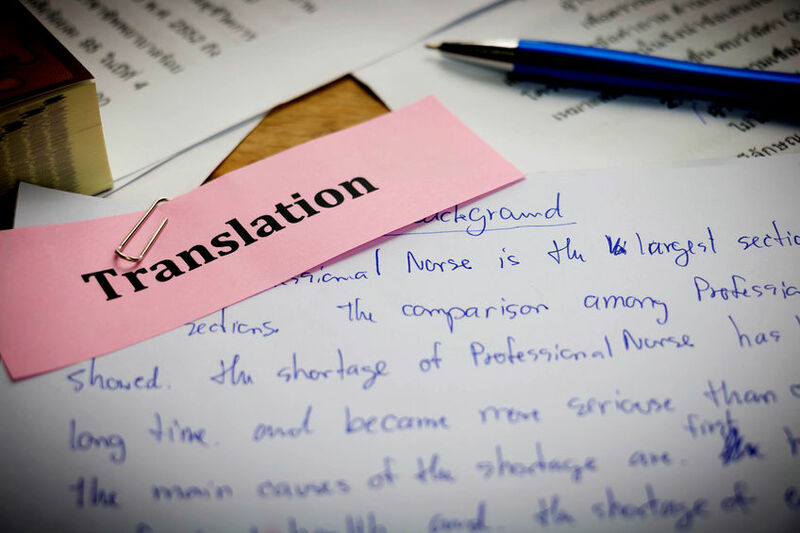 Translation is a business investment not to be taken lightly! Martha: Yes, can we hire a German/English editorial team with translation capacities to go over the documents and correct the errors? Arthur: Thank you, Martha, that is a good idea. Anyone else? Crystal: Let’s create an in-house team to analyze the situation. We have German-speaking people – Thomas, Vivian and Alicia – they may be able to assess the document needs. Arthur: Good Crystal, that too is a good idea. Anyone else? Rupert: I’m for cutting our losses and starting over, using what we have learned here; in that way we capitalize on the flop! Arthur: Yes. Thank you Rupert, I think that is an excellent idea. In fact, you all have great ideas. And that is how we are able to continue on our path of excellence. I will take all this to management and get back to you. Let’s meet tomorrow at the same time. But before we leave today, has anyone else got anything to add? Magda: I agree with what Rupert said about cutting our losses. I think sometimes it is easier and less costly in the long run to do that, as odd it may sound. I think we should be careful to not use that particular translation company again though. Arthur: Thank you, Magda, I agree. OK everyone, if no one else has anything to add, we will disperse for today and meet back here tomorrow, same time unless instructed differently. Thank you all! Arthur, seeing Rupert and Magda pass in the hall in front of his office called them both in for a quick chat. Arthur: Come here you two – will you look at that? Arthur was reading the Financial Times, checking the stock exchange page. Arthur: We were able to turn things around thanks to From-To Translation. 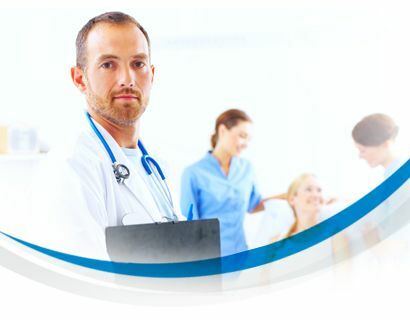 Look, the stock of ED-Med is rising, thanks to our remarkable turnaround and the expertise of From-To. In fact they worked with the existing documentation and cleaned it up. It did take them longer than it took the original agency, but the result is remarkable, on all levels. We’ve made a nice market entry and made up for lost time. Disaster avoided. Calling on From-To Translation in the beginning though, would have been much cheaper in the long run. The main thing to remember is that a good translation is a business investment – it keeps on paying. But a bad translation can bankrupt you! Thanks to both of you for your input and hard work on this project. A victory like this deserves a little celebration. I will get back to you and the rest of your team to set something up. Thanks again.